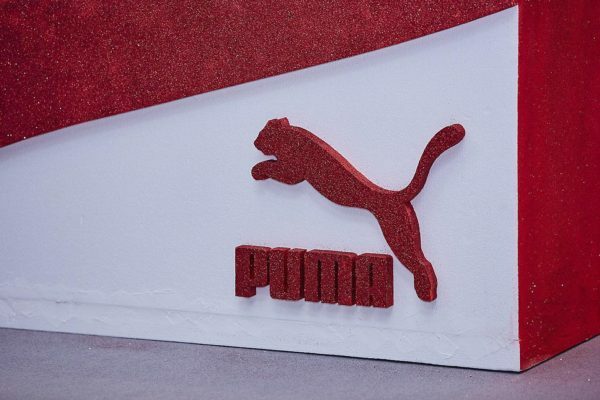 PUMA is a European multinational company that designs and manufactures athletic and casual footwear, apparel and accessories. 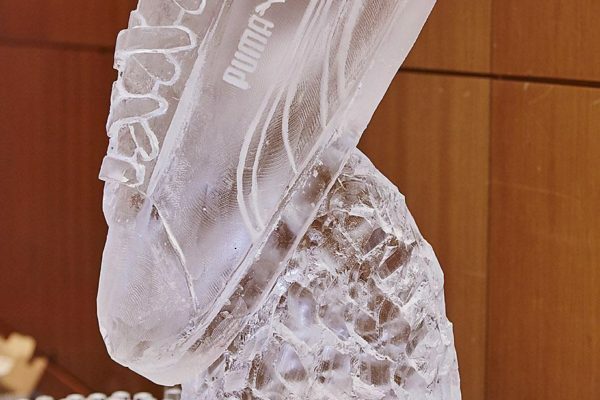 They are the third largest sportswear manufacturer in the world. This event was for their UK, Ireland and German staff. 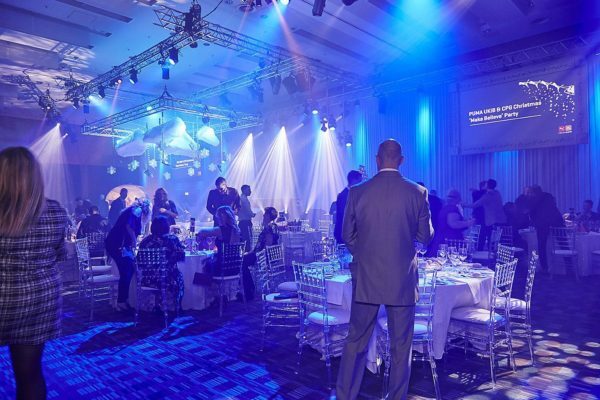 Puma, UKIB and Cobra approached Make Events to create an unforgettable corporate celebration for their 160 employees at Hilton, Deansgate. We were challenged with taking control of both the design and logistics of their event, which meant we were given free reign on creative. 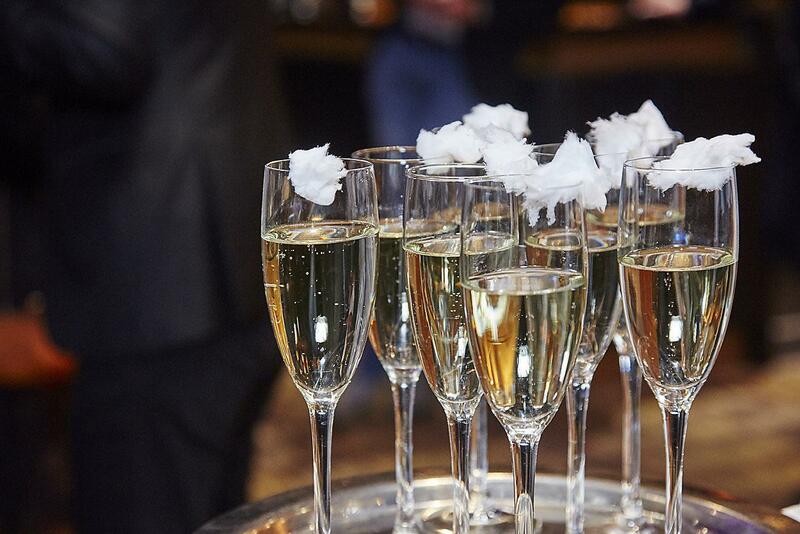 We couldn’t wait to get started. 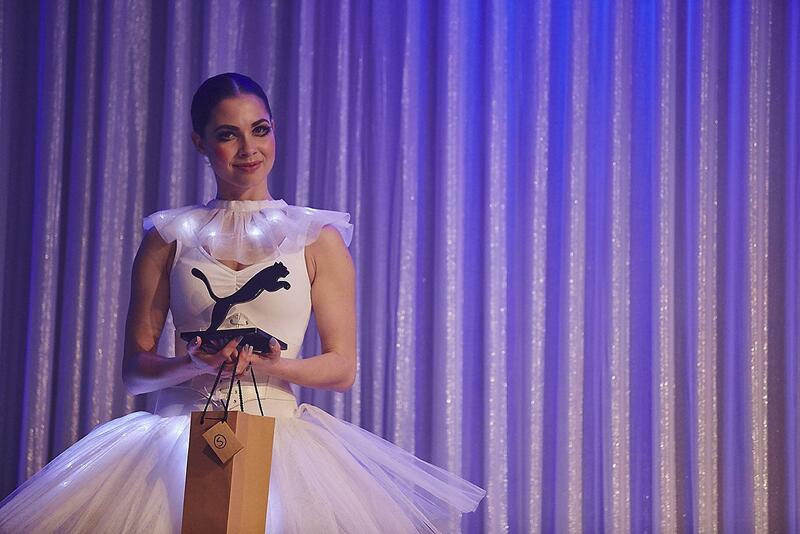 Make Events had produced a fashion show and Halloween party for Puma two months previously, so we needed to prove that we can create unique events time after time. Never short on corporate Christmas ideas, our event producers created a ‘Make Believe’ theme with lots of branded Puma touches. 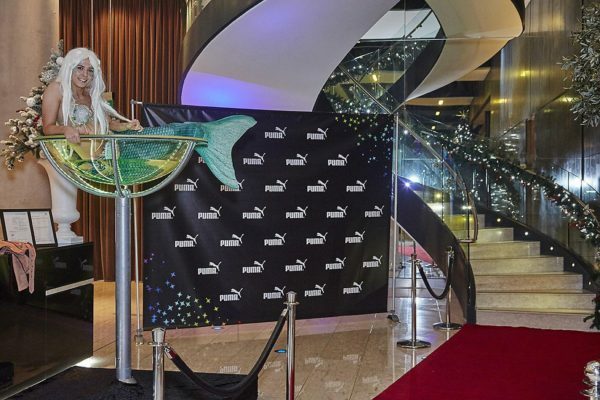 When the guests first arrived they were greeted by a mermaid in a martini glass. 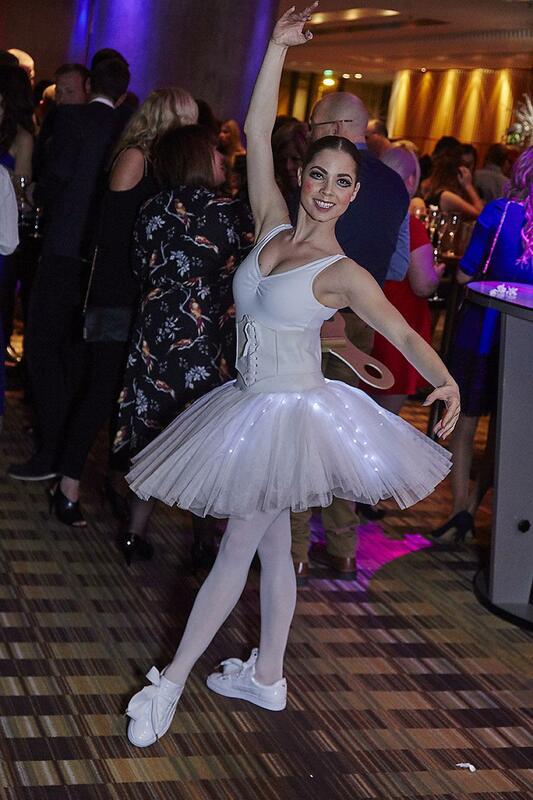 They were then directed onto the red carpet stairs, prosecco in hand, where a clockwork ballerina was awaiting their arrival, performing in Puma trainers. The prosecco was topped with pink candy floss, tying into the Make Believe theme which was revealed as they entered the ballroom. 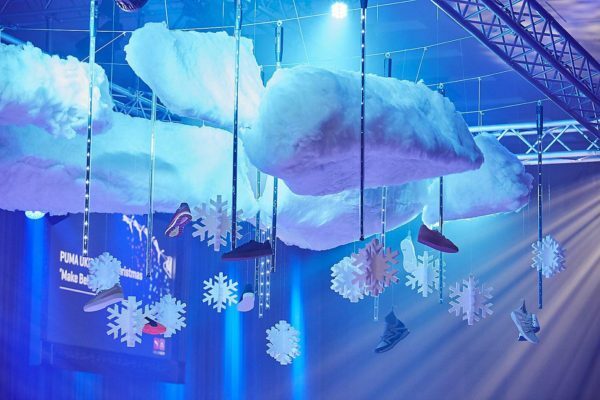 The stand-out feature was fluffy clouds hung from the ceiling with decorative puma trainers, snowflakes and light batons on. This was a big wow when guests walked in. 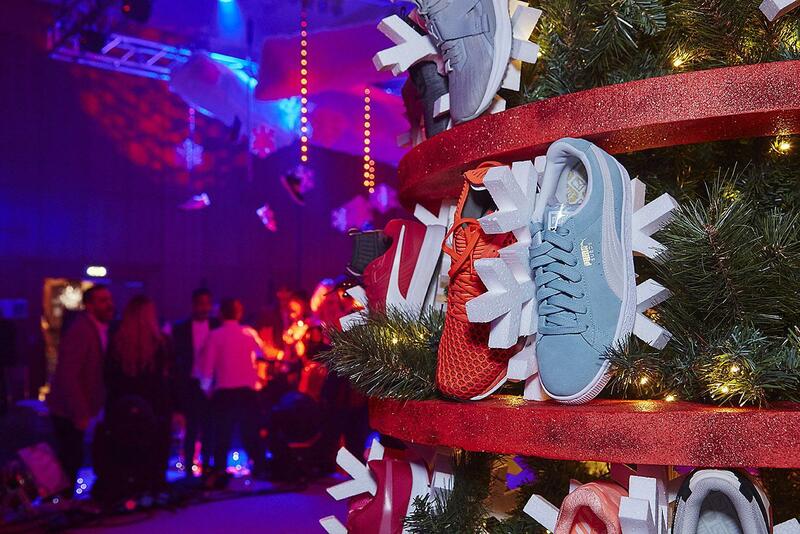 We also branded a Christmas tree, by incorporating Puma trainers onto it. The table centres were completely bespoke. 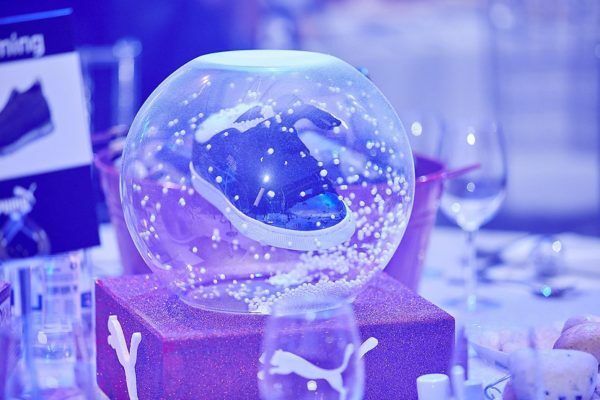 These were fan assisted snow globes with Puma trainers in, like nothing anyone had ever seen before. 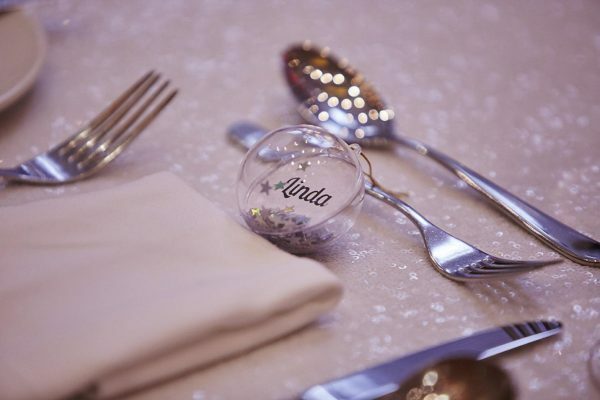 Place names were clear baubles with golden stars and names written by a calligrapher, a personal touch for guests to take home with them. 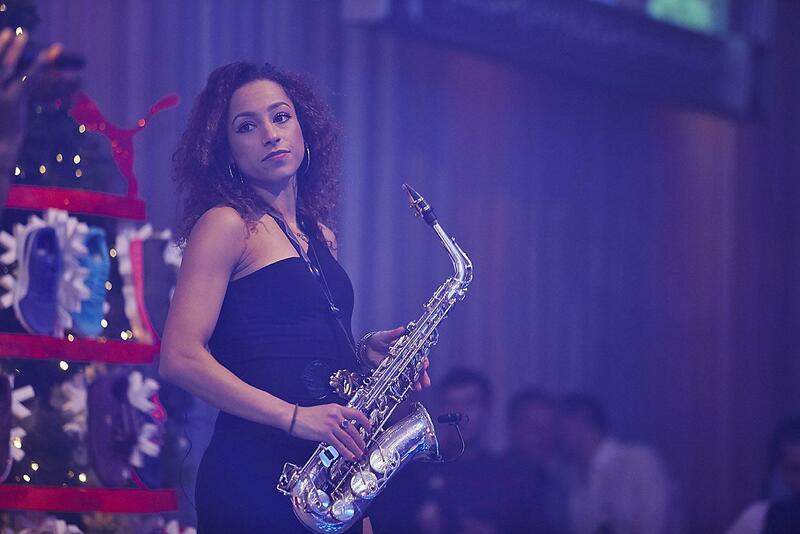 As guests were seated, a Christmas filled dance performance began on stage. This was the only similarity to their previous Halloween event, the same dance crew was brought back as their ‘Thriller’ performance had been received so well. 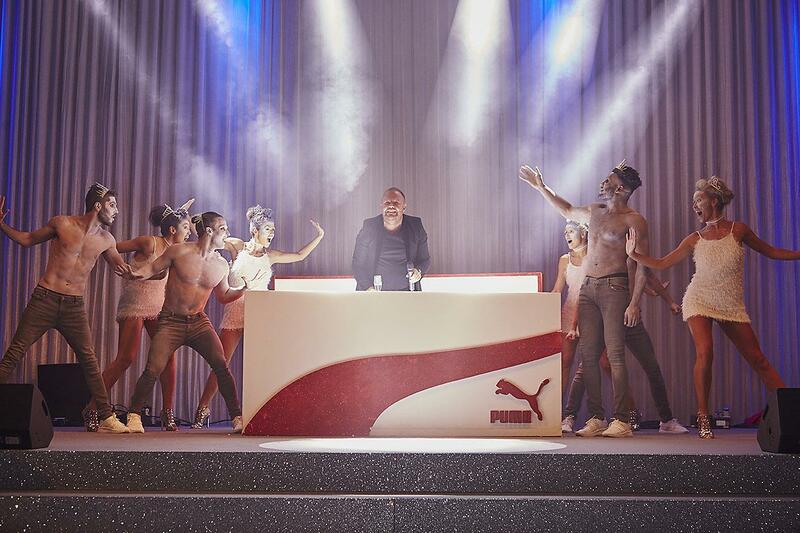 However, the difference this time was an ominous large Puma shoe box at the back of the stage, which the MD jumped out of at the end of the performance to introduce the night and kick off the end-of-year awards (with Santa to help of course). The shoe box also doubled up as the DJ booth. The three course dinner was parsnip soup (to include all dietary requirements), an elevated Christmas dinner of roasted turkey parcel stuffed with apricot and thyme, fondant potato and root vegetables and a chocolate domed moose for dessert. We ensured that the vegetarian and vegan option was not an after thought, so everyone was included. 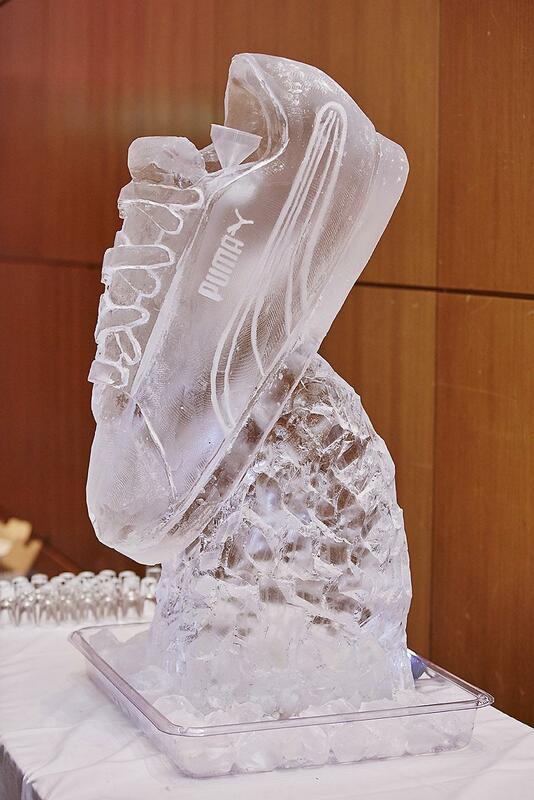 After dinner, a Puma trainer ice luge was revealed and High On Heels hit the stage. They played 90s hits and the dance floor was full all night. As a magic touch, we included table games such as pass the sprout and reindeer hoopla. 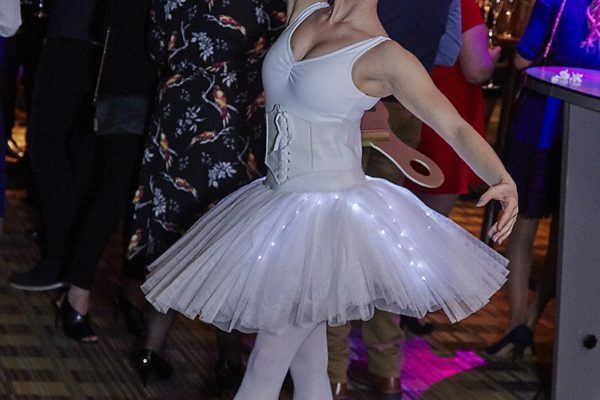 The client wondered how it would top their fashion show and halloween event. After reassuring her that it would be brilliant, she was blown away.